Product code: ES2918 Categories: Sold Items, Sold Jewellery. 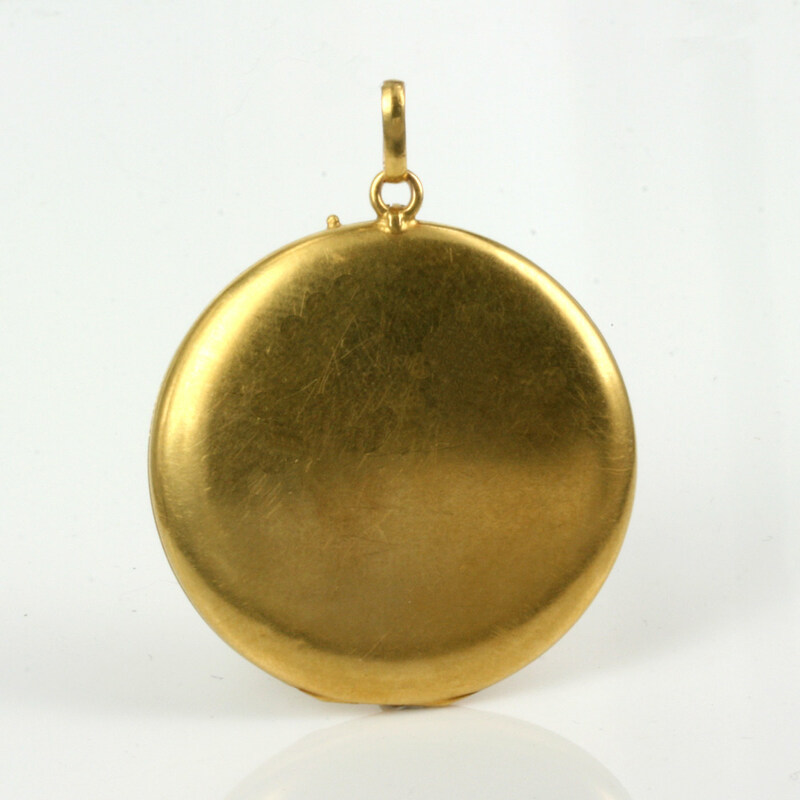 Here is one of the most elegant and beautiful antique lockets that you will so easily fall in love with. Made in 18ct yellow gold, this antique locket was made around 1910 and is set with 3 rubies and 6 pearls. Like so many antique pieces of jewellery, it is not just about having pearls and rubies set into the locket, rather it is also so much about the style and design of the fine and elegant expert engraving on the front with the gemstones set into the leaf design. The front is so elegant and even as a pendant would be beautiful, however being a photo locket makes it even more special. This locket is able to hold 2 photos and the locket itself measures 3.3cm in diameter. Antique lockets are always so special and unique and this one with the pearls and rubies in 18ct gold with the most divine engraving on the front makes this so special and unique.